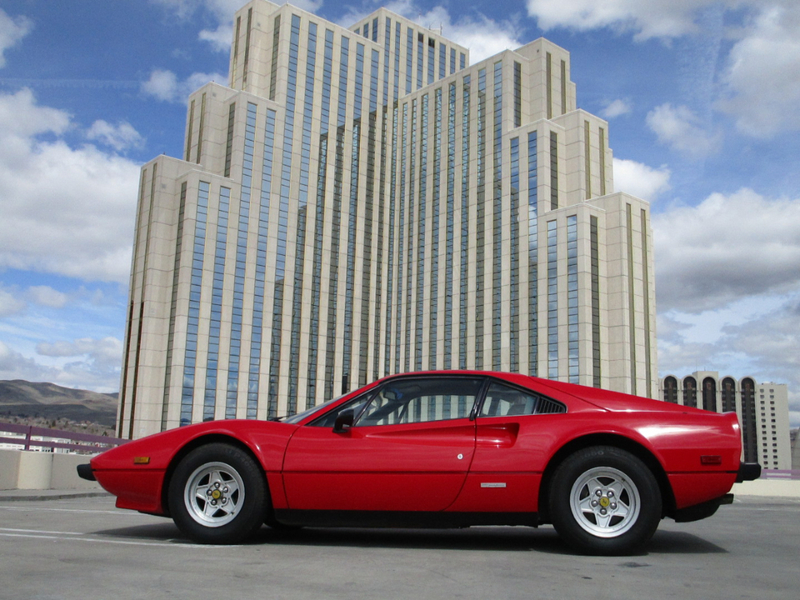 1979 Ferrari 308GTB hard top, coupe has a 3 liter 4 cam naturally aspirated engine with a 5 speed manual transmission. The 1979 was the last year for carbureted engines. These are known for the particularly nice sound of the 4 carburetors behind your head. This car runs and drives well. The exterior is red with tan leather interior in good condition. The car can be purchased with or without a belt service, and with or without new tires. The tires are outdated and should be replaced. It appears that there has been some paint work on the right corner panel just in front of the wheel opening. The windows operate slowly which is fairly common on these cars. There is owner's manual, tools and belt service record. The mechanism which locks the seat back into position when folding forward or reclining is broken. This is an example of a great driver quality GTB. Please feel free to call if you have questions. Message: Thought you might be interested in this 1979 Ferrari 308 GTB.